Theresa May set to plead for extension of talks with EU - SABC News - Breaking news, special reports, world, business, sport coverage of all South African current events. Africa's news leader. May said in a statement she was "saddened" by the resignations and thanked the MPs for their "dedicated service". 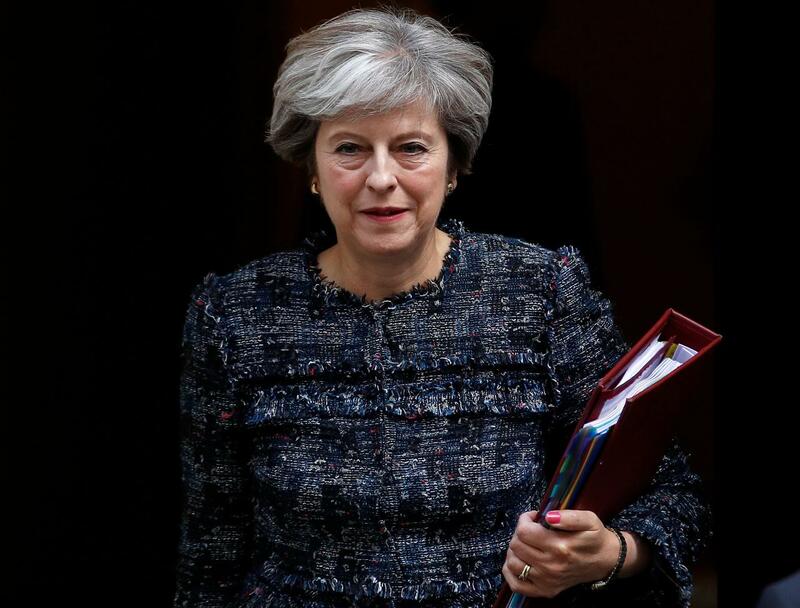 Prime Minister Theresa May on Tuesday will plead with MPs to give her more time for talks with European Union (EU) officials on her Brexit deal, telling them they must hold their nerve. May is set to update parliament on her latest meetings in Brussels and Dublin aimed at securing a divorce agreement with the EU, with Britain due to leave the bloc on 29 March. In January, MPs overwhelmingly rejected the deal struck between May and Brussels and the British premier has since been attempting to secure changes that would satisfy parliament’s lower House of Commons. Some fear it could leave Britain trapped in the European Union’s trade rules with no unilateral way out but would back a deal if the backstop was time-limited or replaced with alternative arrangements. “We now all need to hold our nerve to get the changes this house has required and deliver Brexit on time. By getting the changes we need to the backstop; by protecting and enhancing workers’ rights and environmental protections and by enhancing the role of parliament in the next phase of negotiations I believe we can reach a deal that this house can support,” May is due to tell MPs. Brexit Secretary, Stephen Barclay and David Lidington, May’s de facto deputy are in Strasbourg meeting members of the European Parliament, while British Foreign Secretary Jeremy Hunt is in Paris as part of a diplomatic offensive. The European Union’s (EU) chief Brexit negotiator, Michel Barnier, has called for “clarity and movement” from Britain. “We are clear from our side that we are not going to reopen the withdrawal agreement, but we will continue our discussion in the coming days,” says Barnier. This entry was posted on 12 Feb 2019,12:30PM at 12:30 PM and is filed under World, Homepage Latest Stories Slider. You can follow any responses to this entry through the RSS 2.0 feed. Both comments and pings are currently closed.